COMP Cams 10° Super Lock Steel Retainers Valve Spring Diameter: 1.500" to 1.550"
Does COMP Cams 741-16 fit your vehicle? 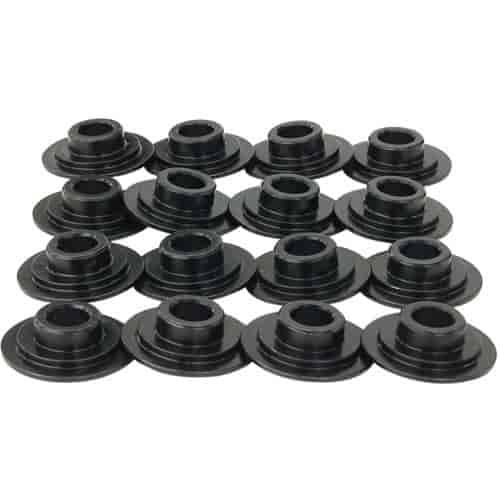 741-16 - Comp Cams Valve Spring Retainers is rated 5.0 out of 5 by 1. Rated 5 out of 5 by Ogisme from Don't forget the locks Great part at a good price and don't forget the locks..
COMP Cams 916-16 - Dual Valve Springs I.D. of Outer Dia. : 1.166"
COMP Cams 914-16 - Dual Valve Springs I.D. of Outer Dia. : 1.105"
COMP Cams 917-16 - Dual Valve Springs I.D. of Outer Dia. : 1.136"
COMP Cams 919-16 - Dual Valve Springs I.D. of Outer Dia. : 1.126"